What a beautiful and precious moment. 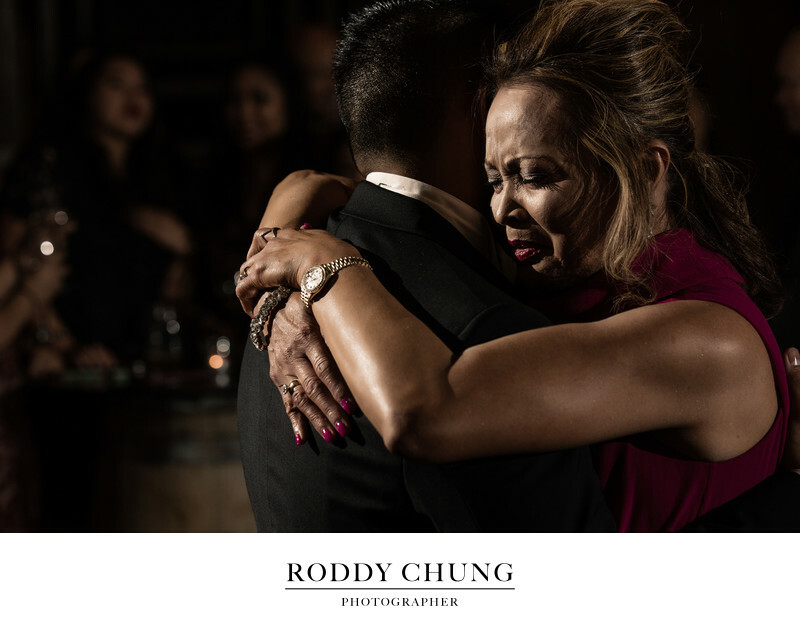 This image was captured during the mother-son dance at a filipino wedding. I had a chance to got to know the groom's mom a little bit on the wedding day during the preparation. She was really sweet and welcoming. At times, she would also joke about I gotta make sure to make her really pretty if I photograph her! We both laughed out loud as I told her if she would pay me extra for that, well jokingly of course. As the day went on, the emotions got the best out of her when we really started to see it happening- her son is actually getting married. Location: 4130 1st Ave S, Seattle, WA 98134. Keywords: candid (15), filipino wedding (6), moment (3), mother and son dance (3), Reception (9).